We're so happy that you're interested in having a loved one attend our day center. We try to keep the application process as straightforward as possible; there are just 4 steps to get started! If you have any questions about the application process, or would like to set-up a tour of the center before applying, please contact our Program Director, Latoria Logan. We strongly encourage you to take a look at our center in person, or through our virtual tour! The first step in the Application process is to complete the Application Form. Please ensure you complete all items and submit the application fee. 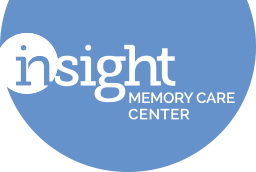 Completed forms can be returned to us by: Email: Latoria Logan, Program Director, latoria.logan@insightmcc.org; Fax: 703-204-0507; or Mail: 3953 Pender Drive, Suite 100, Fairfax, VA 22030. Prior to your loved one attending the day center, a physical and TB screening must be completed by a doctor. Per our licensing requirements, these forms must be signed and dated within 30 days of your loved one's start date at the center. Consult with the Program Director to determine availability for your preferred days of attendance, and schedule an appointment with your doctor. Once the physical is scheduled, call us to arrange an assessment. This meeting will include our Program Director and Assistant Program Director, along with yourself, your potential participant, and any other interested family members. During the assessment, your loved one will attend our programming with staff supervision to help determine their appropriate level of care. You and your family with meet with our Program Director and Assistant Program Director to complete the enrollment paperwork, and help us get to know your loved one better. Please bring: the completed medical paperwork, the lifestyle biography, copies of the participant’s insurance cards, power(s) of attorney, and any advanced medical directives, the names/addresses/phone numbers of two additional local emergency contacts, and a check for the first full month’s payment. A typical assessment will take about an hour to an hour and a half. 4. Pick a Start Date! With all the paperwork complete, it's time to join us! At this time, you can also work with our Program Director to schedule transportation, if needed, and/or meet with our nurse to discuss any medication or dietary issues that need to be addressed. Then your loved one is ready to have fun with us at the day center! "The staff members - everyone - are intelligent, impressive, kind, and incredibly willing to do everything possible to support and assist each participant. The patience and ingenuity in dealing with and helping my husband were incredible and ingenious. This program - Day Care - has to be one of the most effective and best anywhere."